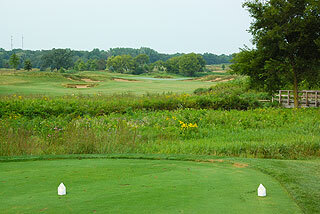 Bowes Creek Country Club was created by Jacobson Golf Course Design to challenge and be enjoyed by players of any skill set. 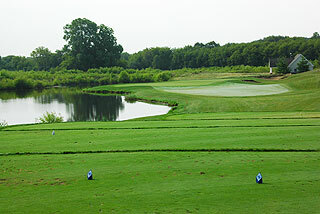 The layout plays from 4756 yards for junior golfers to 6795 yards for experienced golfers who choose the tips. 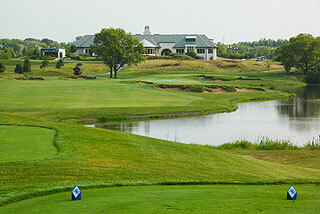 A beautifully designed clubhouse with a friendly staff, and immaculate course conditions make this golf experience a must for golfers in the Chicagoland area as well as visitors from out of town. 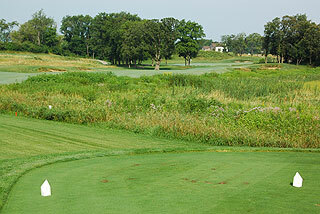 The terrain at Bowes Creek is slightly sloping down the wide landing zones, and hilly and mounded along the sides of the fairways. 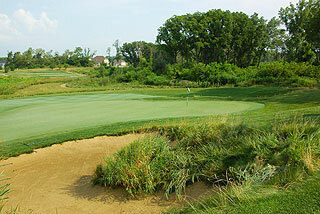 The deep, intricately shaped bunkers are surrounded by long thick grasses that seem to grow out of the sand. 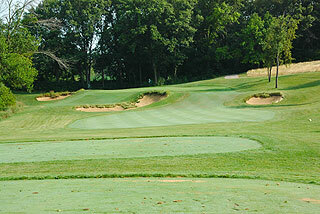 It is easier to recover from the sand than the adjacent rough, and best to avoid the bunker areas all together. 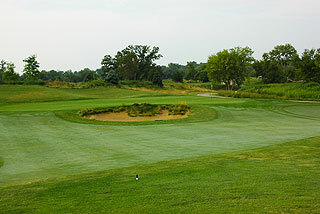 Some greens are elevated which makes it somewhat difficult to land and stick, while others are level but flanked by mounding and gentle hills. The clubhouse features a full-service golf shop, men's and women's locker rooms, and Porter's Pub - an English-style restaurant and bar. I had the opportunity to eat and enjoy a beer on tap at the end of my work day at Porter's Pub. From my experience I can say the food is great and the service is even better. The practice facility is complete with an elevated 30-station driving range with target greens at varying distances, putting and chipping greens, and a private lesson tee. The course is very well marked with yardage to the center of the green from the sprinkler heads and 100, 150, and 200 yard markers down the middle of the fairways. Score cards have a pin placement guide with a numbered system providing front, middle, and back hole locations. All golf carts include Club Car Guardian GPS which provides yardage to the center of the green while the cart is parked on the fairway. Five sets of tee boxes measure: 6794 yards with a 142 slope, 6412 yards/138 slope, 5942 yards/133 slope for men, 135 for women, 5382 yards/128 for women, and 4756 yards with a slope of 121 for women and juniors who choose the forward tees. As the slopes indicate, although this is not an extremely long course, it is very challenging. 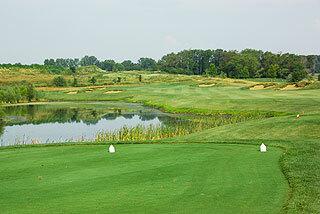 This is a beautiful course and highly recommended by twoguyswhogolf. For more info, visit our page for Bowes Creek, with direct link to their website by clicking here.